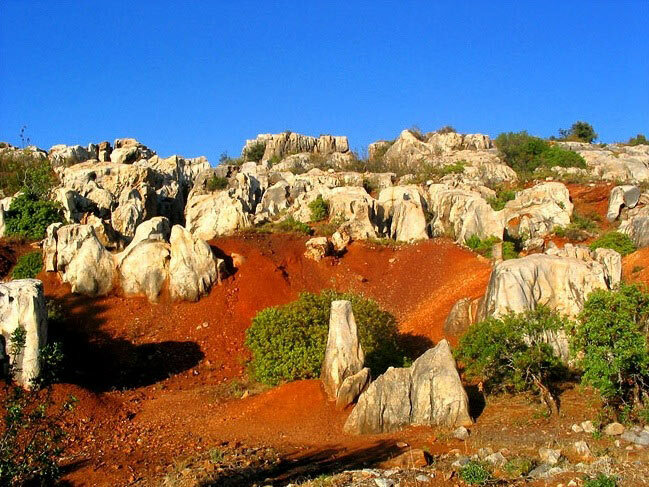 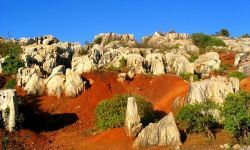 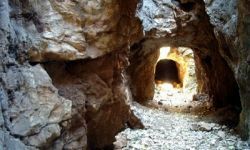 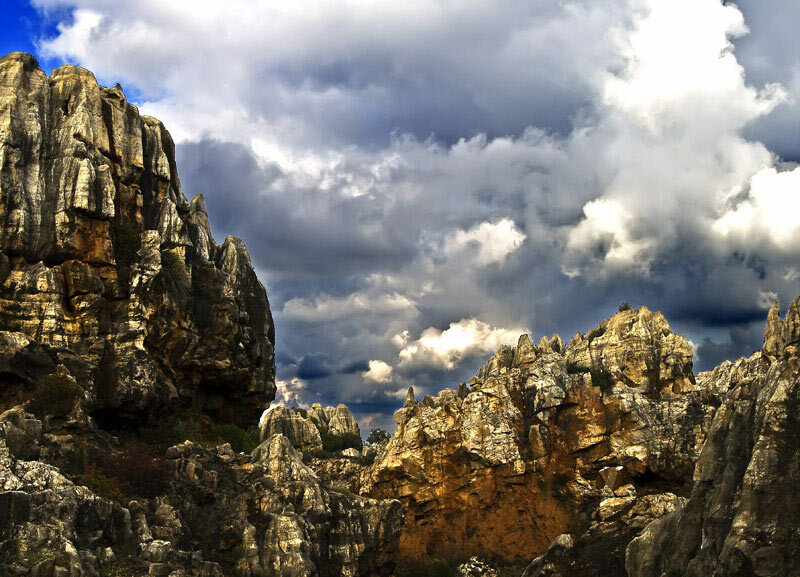 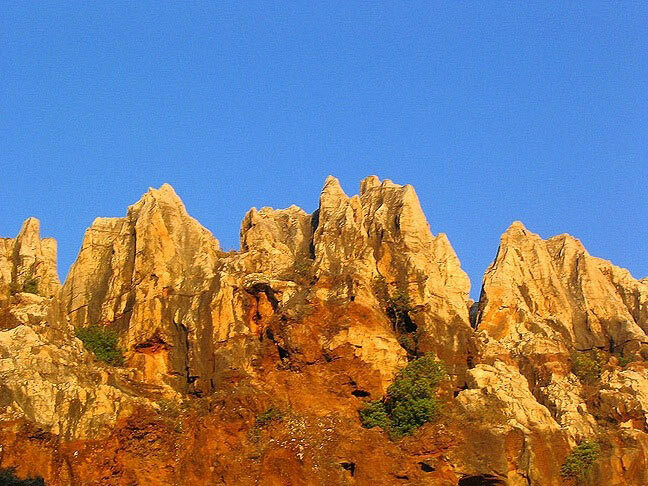 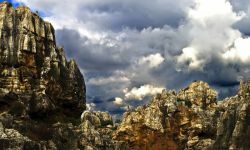 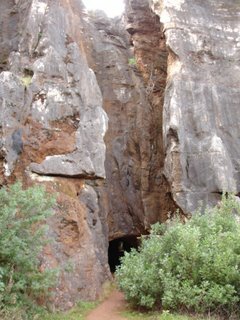 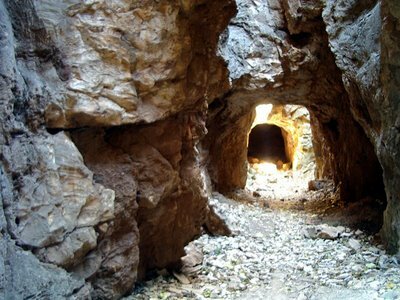 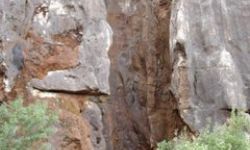 Nearby we have the Cerro del Hierro, old iron mine, which now has been enabled for hiking and climbing. 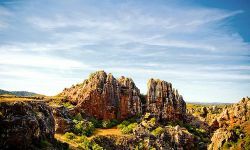 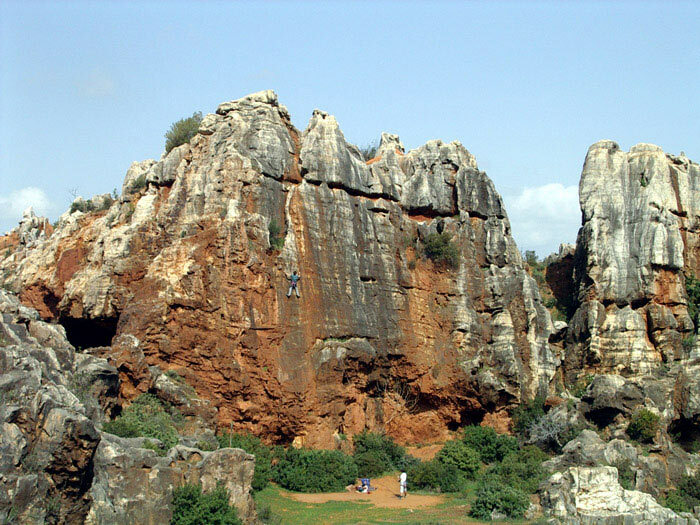 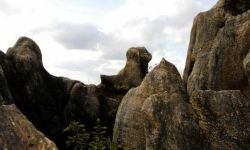 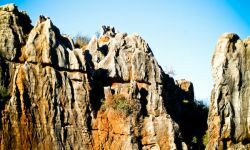 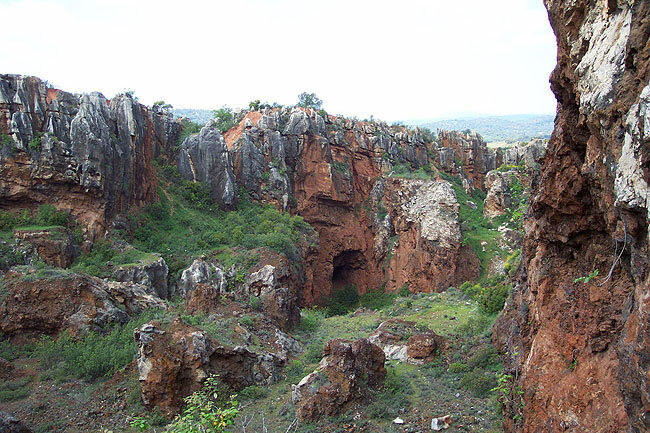 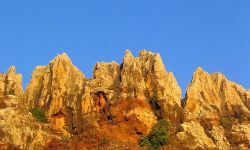 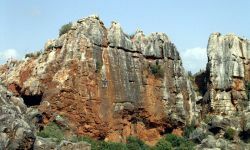 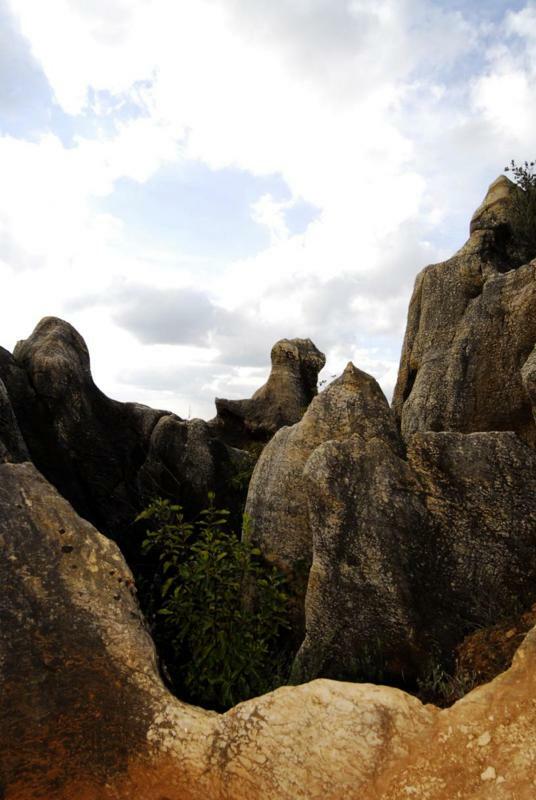 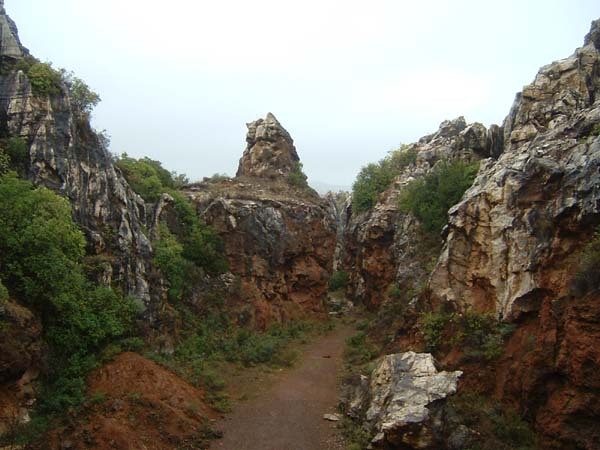 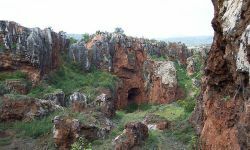 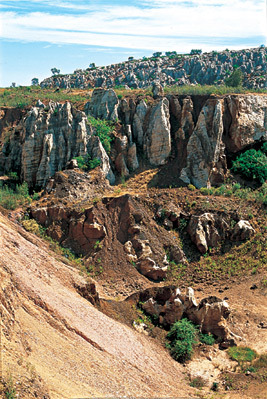 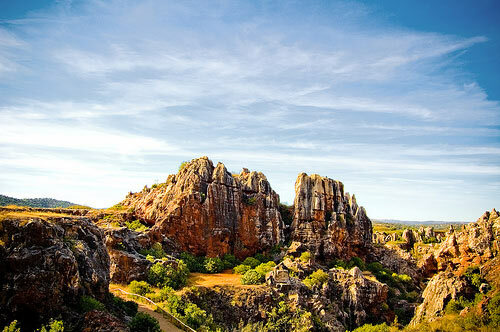 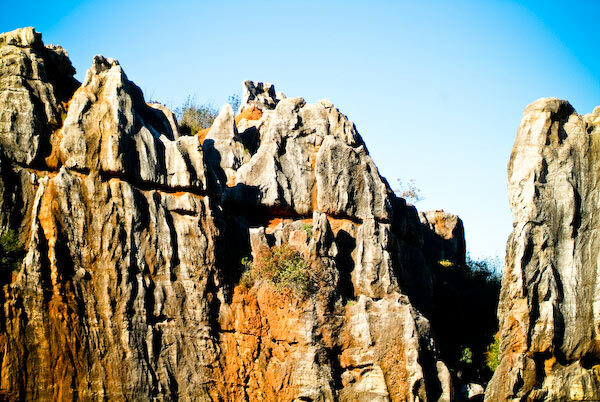 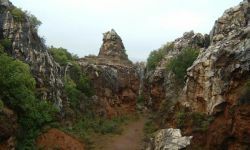 It is a karst area, limestone rich in iron ore, hence its exploitation as mine since before the Romans until mid-twentieth century, today declared a natural monument for its geological and landscape value. 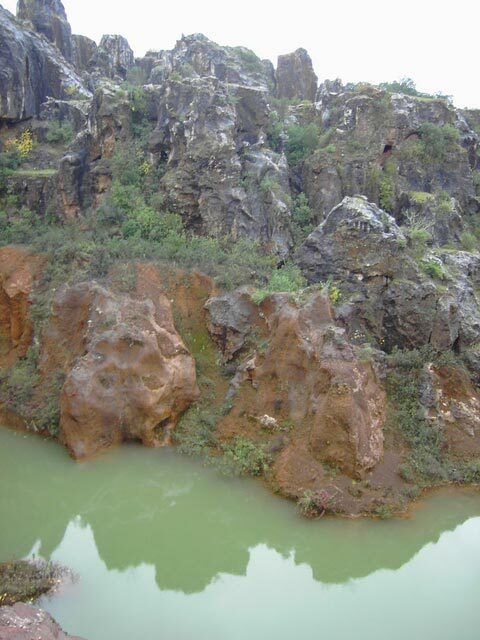 The old mining town remains dependent village of few inhabitants of San Nicolás del Puerto. 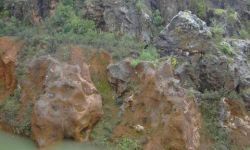 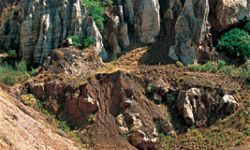 Mining has been basically open pit, which has greatly modified the terrain, destroying mainly the surface areas where they usually appreciate karst sinkholes. 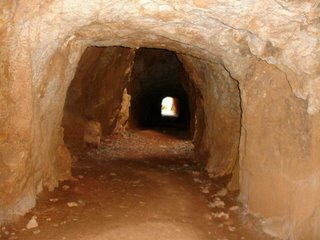 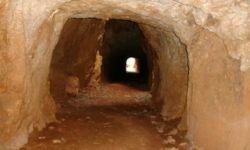 The tunnels that can be seen today were basically to the ways in which the carriages drew ore mining area.